Quiz: How Well Do You Know Rick Ross' "Black Dollar" Mixtape? 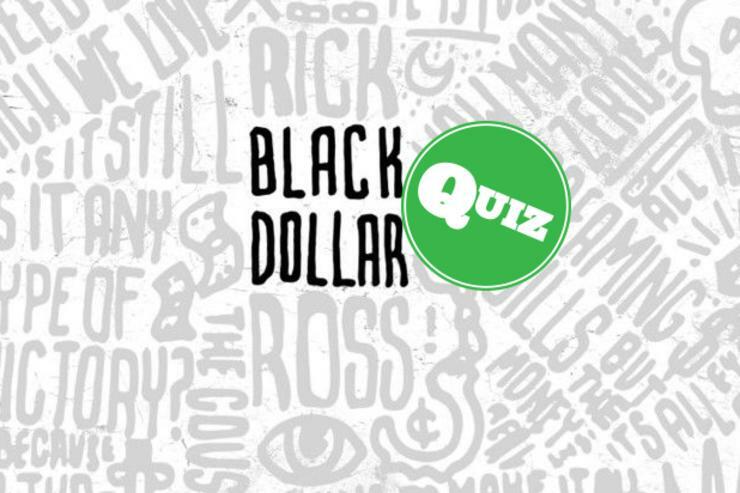 Home>Sports> Quiz: How Well Do You Know Rick Ross' "Black Dollar" Mixtape? Test your knowledge on Rick Ross' new tape. Giving fans very little notice, Rick Ross went ahead and dropped his Black Dollar mixtape last week. If you've checked it out, you'll know -- much like Rich Forever -- the project plays much like an album. At this point you've only had a few days to take the tape in, but for the Rozay stans who've been bumping nothing but Black Dollar this weekend, we've got a challenge for you. Take our quick quiz on the mixtape below, and let us know how well you do. If you fail, you can always stream and download the project here to catch up. SPORTS Quiz: How Well Do You Know Rick Ross' "Black Dollar" Mixtape?